These remote islands are extremely photogenic with their farm villages, black-sand beaches, whitewashed cottages and historic churches. San Miguel is the most popular island. Here passengers can walk the stone streets of the tidy capital city of Ponta Delgado. 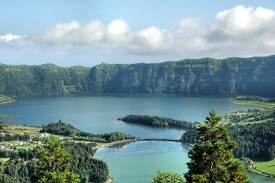 Organized excursions also visit the Seven Cities -- towns built inside volcanic craters.